Camp is open to ages 8-15 of all ability levels. The young women of Queen Anne’s County thrive from the growing interest in one of the greatest women’s sports – Field Hockey! With almost 300 participants in the recreational fall league; QA community is recognized as a national leader in youth feeder programs. The 1-day high school clinic is for 15 – 18 year olds. We aim to run some high intensity college drills – plucked right out of the Williams College pre-season practices. You will receive lots of touches on the ball, immediate feedback from the college coaches and get to play some full field and small games so we can assess your goals for the season ahead. 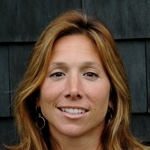 Prior to returning to Williams, Barrale served as the head field hockey coach and head women’s lacrosse coach at Denison University for four years. In her last two years Barrale guided Denison to a 30-10 mark with a record of 16-4 in her final season, (12-0 in North Coast Athletic Conference play). Barrale’s Denison teams were 20-2 in NCAC play her final two years. Barrale played field hockey and lacrosse at Williams under her Chris Mason. Barrale was the all-time leader in points for the Ephs at the time of her graduation, earned All-America honors and was invited to the U.S. Olympic “A” Training Camp.